Is your business going to offer online merchant services to your customers? If so, you will have to get approved for a merchant account so you can set up credit card processing accept credit cards online, and eventually even accept mobile payments. Small businesses have to make a decision about to whom they are going to extend credit. Are they going to extend credit only to those who pay in cash and checks? This may make their payment processing easy, but it will severely limit their customer base. On the other hand, if they choose to extend credit to their customers, it is a little more complicated, but it will expand their reach into the marketplace and the customer base. Most small businesses eventually make the transition to offering credit card (and debit card) processing services. What is required? What are Online Merchant Services? Online merchant services enable you to accept credit card payments from your customers. Online merchant services may be offered by your bank or by specialized online merchant service providers or independent sales organizations that offer payment processing. If you go through a merchant service provider rather than a financial institution, you may have the ability to buy or lease your credit card processing equipment, establish both a merchant account and an Internet Merchant account, take a wide range of credit and debit cards, and offer a wide range of other services such as telephone and mail services and mobile services. A merchant account is a bank account established by a business to allow the business to accept payments from customers by credit and/or debit cards. The merchant account also includes an agreement between the bank, the retailer involved, and the payment processor for settlement of the debit or credit card transaction. For start-ups, very small businesses, or home-based-businesses, it is not always a given that your business will be granted a merchant account. In your case, it may be best to apply for merchant account status with the bank with which you already do business. Banks view granting a merchant account as an extension of credit and will evaluate your business as such. Your business generally has to have been in business for up to 2 years. With all of these requirements, however, the usual reason a bank will deny your application for a merchant account is bad credit. Since the bank views granting a merchant account as an extension of credit, your credit report must be good, your credit score high, and your presentation to the bank excellent. When you develop your business plan as a start-up or home business, you should devote a section to obtaining merchant status. There are various routes you can take to obtain online merchant services. You can approach an independent credit card processing company. Often, you can find them in the yellow pages of your local telephone book under “Credit Cards” or “Merchant Services.” Independent sales organizations do accept high risk businesses as well as those who have less than perfect credit ratings. They may charge higher fees than banks and you have to be careful and watch the fee structure, but they are an option for higher-risk businesses that want to accept credit and debit cards in their business operations. 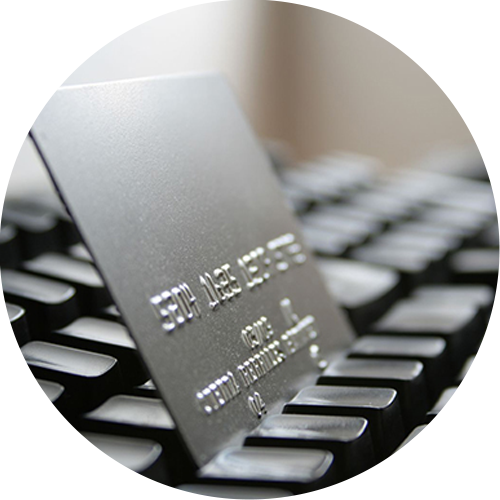 Internet merchant accounts and brick-and-mortar merchant accounts are two different animals. If you are going to operate an ecommerce business (online), then you need online merchant services. An Internet merchant account is simply designed to process online credit or debit card payments, which usually involves higher fees to you, the merchant. There are online payment processing services that can handle setting up Internet merchant accounts for you. Alternatively, you can get your Internet merchant accounts through your bank or independent sales organization where you got your brick-and-mortar merchant account. The most important thing to do is shop around, both for your regular merchant account and your online merchant services. Talk to local banks, independent sales organizations, and payment processing organizations online. Get all the facts and fee structures before you make a decision about which organization you are going to go with to get your merchant accounts for credit and debit card payment processing. Most people who shop—either through traditional stores or online—prefer a variety of online merchant services and will keep coming back to your store if you offer them this service.